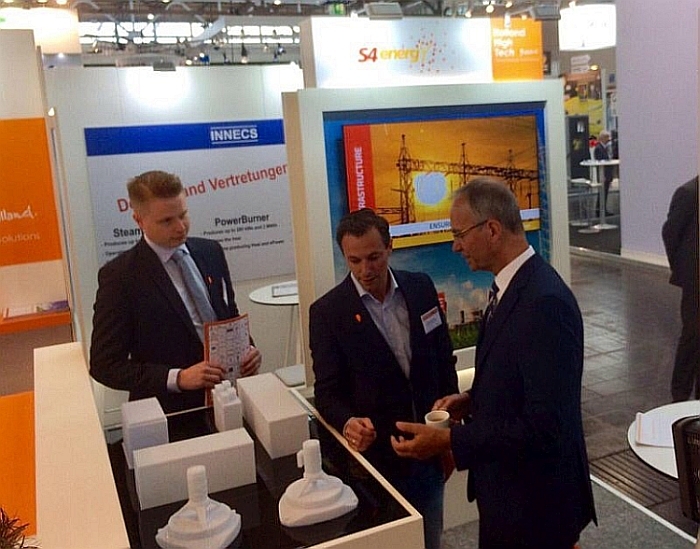 At the recent Hannover Messe, we were paid a surprise visit by Henk Kamp, the Dutch Minister of Economic Affairs. Mr. Kamp was highly interested in our intelligent storage solutions, especially our project for Dutch grid operator Tennet TSO. Projects like these are crucial to achieving the Dutch government's goal of increasing the share of renewables to 41% by 2023, which will require action to ensure the grid can cope with increasing fluctuations in supply and demand.